Nails tend to be an attention-grabbing form of expression, especially the popular and convenient artificial nails. Acrylic nails date back to the 19th century, beginning as a sign of wealth and feminism in places such as Greece and Ancient Egypt. However, Fred Slack, a dentist in Philadelphia, made them an American commodity in 1954, after repairing his own broken nail using materials that were in his clinic; amazed with the result, he and his brother Tom began to experiment with different mixes of monomer liquid and polymer powder, the prime ingredients in acrylic nails. Thus resulting in today’s trendy fashion accessories -- yes, accessories, because no one needs jewels when there’s chic fingernails. 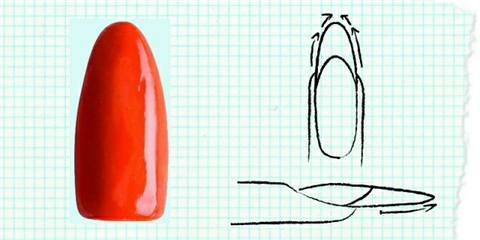 College Gloss will explore the different trends that have come and gone with the acrylic nail from shape to design. There are three different types of artificial nails, they are: acrylic, gel and silk. Gel and acrylic nails are said to be more long term versus the silk, but both styles grow out with the natural nail, while the adhesive for silk nails will loosen up within a couple of weeks making them easy to remove. 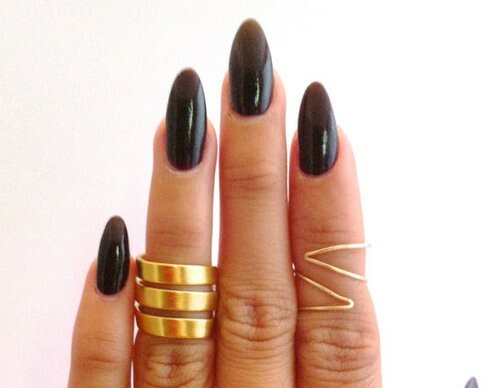 Over time, slowly but surely the nail shape in fashion changes. The 60s were all about the oval tip; in the 90s, there was lots of squaring, followed by the most recent revelation of the stiletto style. Celebrity icons like Beyonce and Rihanna have helped to popularize this new style of nail that resembles Cruella Deville’s claw-like tips -- long and pointy. Some view it as a reinvention of the retro oval shape. In the 19th century, acrylic nails were made from raw materials like gold, bones and empty pistachios. They believed the more exotic the material, the better something was. Today, some may enjoy the simplicity of a French manicure, while others can appreciate a bedazzled nail -- from rhinestones to real money, just name it and it’s been on a nail. Although the acrylic nail has evolved over time, some of its representation still remain the same; particularly, it’s symbol of femininity. While other aspects of the acrylic nail have developed throughout time, providing more of a selection for young women and the finger bling.